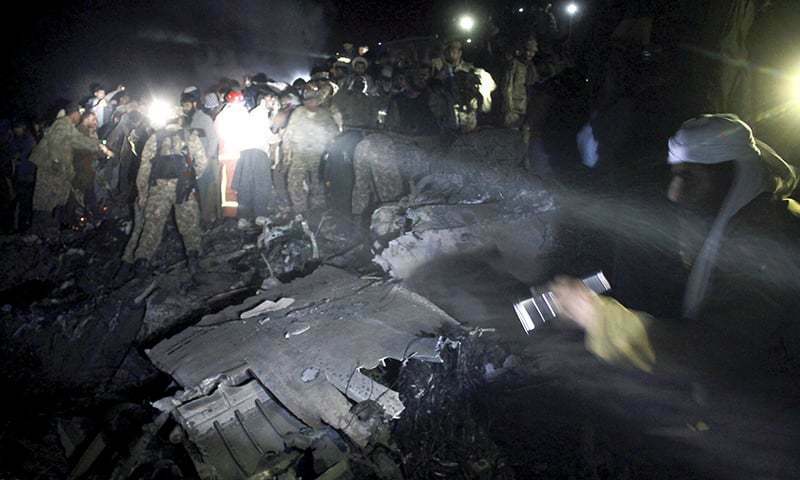 On 7th December 2016, the most disastrous tragedy of all time happened when the ill-fated flight PK 661 (PIA ATR PLANE) crashed and took the lives of forty-seven passengers, including 31 men, 9 women, 2 infants and five crew members. It was a catastrophe for the entire nation. Everyone broke down and paid their condolences to the departed souls. But it was a real challenge for the families of these 47 martyrs. Of course, only they could understand how they managed to survive such a sudden disaster which took their loved ones’ lives. We, who are not part of that terrible incident, can only imagine what those families must have borne with the passing away of their loved ones. Their mourning would have lasted for months. We would think that they would eventually come back to their normal lives, but that is not the reality! Today, I met one of the martyrs’ elder brother whose younger sister was in that ill-fated plane. She had recently gotten married three months before that incident and was en route Islamabad to collect her academic certificates from her previous university as she was planning to go to Canada to pursue her future career. However, her brother shared some shattering experiences after the plane crash. He said it was devastating news for them and that he and his whole family could not even believe it. They tried to make themselves stronger but a new challenge awaited, which was to recover the body of deceased. This happened to be a very disturbing and awful task for them because they paid plenty of visits to PIMS Hospital Islamabad where no one was even willing to tell them where the bodies were. The hospital administration sent them to some private laboratory to recover the body which actually refused having it with them. After some time, the hospital instead of giving bodies to their families, sent them to some place known as Ravat (as quoted by brother). The purpose of sending the bodies there was that the Prime Minister and his Cabinet members would come there and show the media that they were part of the funeral prayer. The brother said that when they went to Ravat, they found only 12 out of 30 bodies present and they could not find their sister’s body yet again. Then they had to face a brutal experience for another 10 days. When they finally received their sister’s body, they were not sure whether it was hers because they were not provided with the DNA report for identification purposes. They were asked to take the body and get the report after a few days. Till date, after one whole year, they have not been provided with the DNA report. Moreover, the Prime Minister of that time made a Joint Investigation Team (JIT) to investigate the accident and make a report over why such a crash happened. But, after long period of twelve months, they have shared nothing. No report has been published yet. However, this is the story of just one victim’s family and their shattering experience – there are other 46 victims who must have gone through the same or an even worse experience. 5 Million rupees were to be compensated to each victim’s family but half of the families have not been granted anything yet. Moreover, the PIA administration did not behave properly with the families and insulted them when they tried to contact them. Disastrous of all, the families had to be misbehaved with while they waited for so many days to recover victims’ bodies. I believe I could only pen down this article because this had not happened to me. The families who actually suffered the disastrous tragedy were the ones who could not even tell the story without tears streaming down their eyes. Today, I could see the sadness, disappointment and anger in the tears of a victim’s brother who was trying to consolidate himself. Just think for a moment, if we were these families, how would have we reacted? We all must stand against such a wretched tragedy and ask for accountability. At least a transparent JIT report must be published which can reveal all the black sheep that do not have emotions and feelings for these families. We must not take these incidents for granted – the crash may be a natural incident and not a murder or terrorist attack threatening national security but it isn’t any less worrying because there has been a lack of capability, a weak system, corrupt administration, institutional failure and an absence of accountability which has caused such a tragedy. Surely, the time has come to deal with the situation because it can again happen to anyone if such behavior and paralyzed system are not exposed. This article is meant to serve as a message to each citizen to stand against such inhumanity by the PIA Administration and federal government because tomorrow there can be another plane crash where we can lose our lives while our loved ones go through subsequent horrifying and terrible experiences. The writer is a law student at Blackstone School Of Law and is a Member of Law Clinic under the supervision of Barrister Hassan Niazi.